A New York state appeals court on Thursday dismissed a lawsuit in which the actress Lindsay Lohan accused the maker of the popular “Grand Theft Auto” video games of basing a character on her without her permission. Take-Two Interactive Software Inc did not use Lohan’s “name, portrait or picture” in “Grand Theft Auto V” and therefore did not violate her right to privacy, the five-judge Appellate Division panel in Manhattan said. The court also dismissed similar claims against Take-Two by Karen Gravano, star of the “Mob Wives” reality television series. Take-Two did not immediately respond to a call seeking comment. Lohan accused Take-Two and its Rockstar Games unit of modelling “Grand Theft Auto V” actress character Lacey Jonas on her, with a similar look, voice, clothing and hair. 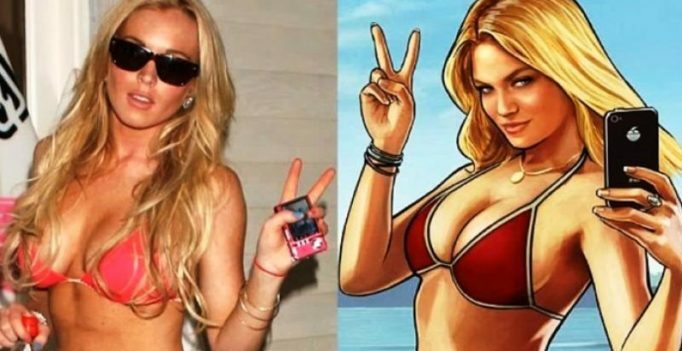 The panel also dismissed Lohan’s claim that Take-Two improperly used her image in advertising for the game because “the images are not of Lohan herself, but merely the avatar,” the court ruled. Gravano, meanwhile, claimed that the game’s character Andrea Bottino mirrored aspects of her life, including how she speaks. Lohan starred in the 1998 movie, “the Parent Trap,” and 2004’s “Mean Girls,” but in recent years she has been in the news more for her legal woes and visits to rehab clinics. “Grand Theft Auto V” has sold more than 65 million units worldwide, according to the company’s 2016 annual report.